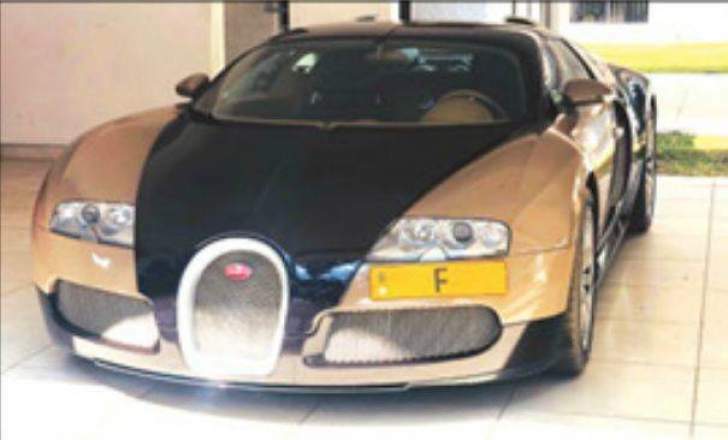 The influx of expensive vehicles including an electric Tesla car, Bugatti Veyron, Rolls Royce Phantom and Bentley Bentyaga into Zimbabwe in the past months maybe a scam of rich and connected people taking advantage of the inequality rate between the bond and US Dollar. An investigation into the influx of expensive imported cars revealed that some buyers were importing cars from United Kingdom and Japan using United States dollars. When the cars arrive at the border the owners then change US Dollars to bond using the day rate which has the bond far lower than the US dollar (a process called burning). The bond notes are then taken to the immigration officers to pay duty using the official 1:1 rate meaning the government was being defrauded of the exact value of duty due to its insistence that the bond and the US dollar are at par. Some of the owners of these expensive cars are seen posing on social media with these expensive cars some with Zimbabwean plates and some with personalised plates whether with South African plates or Zimbabwean plates. What has been revealed is that in South Africa the law prohibits any imported used car to be driven on its roads. However when these expensive car drivers are driving into the South Africa they drive the cars as registered in Zimbabwe hence the banning law does not apply to any SADC registered vehicle. This makes it possibly for the owners of expensive cars to bling and brag on social media after bypassing the heavy duty process. Recently Minister of Finance Professor Mthuli Ncube announced that from January 3 all imported vehicles are supposed to pay duty using the currency that the vehicles was purchased in. This moves comes as a blow to the syndicate that has been burning the US Dollar into Bond to pay duty for the vehicles. The jury is still out on whether the influx of expensive cars will persist. Harare based Entrepreneur Kuda Musasiwa recently tweeted that, " I just found out an incredible fact;the fancy cars coming through Zimbabwe where because the rich foreigners would pay the duty in the fake Bond notes after burning the US dollar. They then drive it into South Africa as a Zimbabweans car. Which saved them from paying duty in their countries in real money."